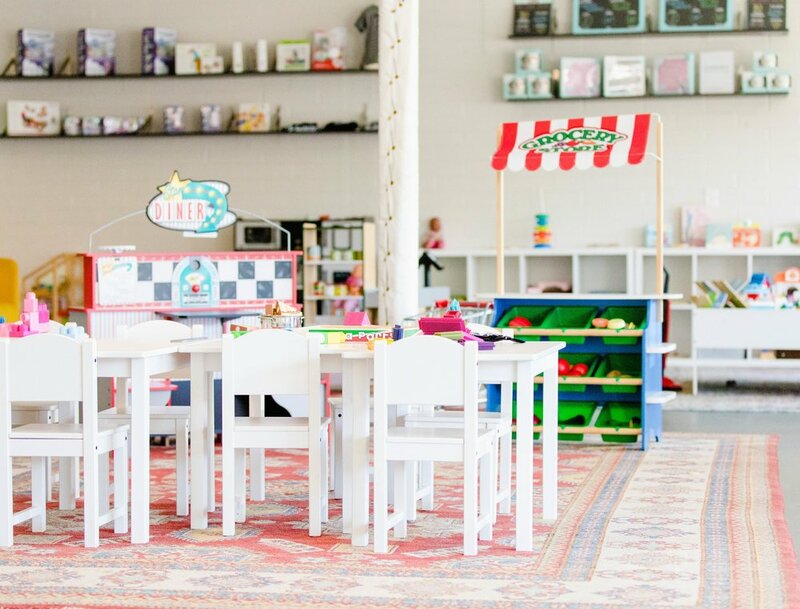 Our bright and sunny playroom was designed for children up to five years of age. Our space is an open layout, making it easy to always see your little one. 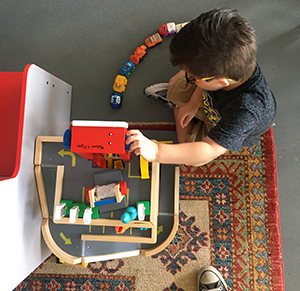 With delicious menu service from The Herb Box and Cartel’s cold brew on tap, you can relax while your children play in our safe and comfortable space. 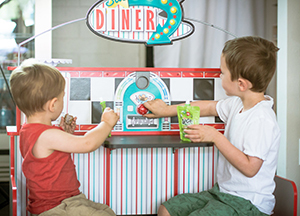 At Mini Social, you tend to feel at home with free wi-fi, comfortable seating, and dining space. Children love our variety of toys, books, blocks, dress-up, fort building, interactive-electronic floor game, pretend kitchen play sets, and more. Your kids will be busy while you relax, socialize, and enjoy a bite to eat. Members have discounted pricing. To view member pricing and benefits, click here. If you will be joining us during drop-in play with a group of more than 5 people please contact us at info@minisocialaz.com for information on group discounts. All children must be accompanied by their parents or guardians. Parents are responsible for watching their own children. All persons entering Mini Social must sign a waiver and photo release prior to play time. If you prefer to fill out this waiver prior to visiting, you may print a copy here. To maintain a safe playing environment, please be familiar with our House Rules for our drop-in play. *We will be CLOSED for drop-in play on the last Monday of each month. Additionally, we host private events and will be closed during normal business hours from time to time. We will post these days as they come on all social media & our website’s calendar, so give us a follow @minisocialaz to stay in the know! Follow us @minisocialaz and tag your photos #minisocialaz to be featured!